Amanda Powell and her husband Jon learned at 12 weeks gestation that they were expecting identical twins. However, just three weeks later, she was hospitalized with a subchorionic hemorrhage and placed on bed rest. At 19 weeks, she lost a large amount of fluid and discovered that the bleed had caused the amniotic sac to break around one of the babies (each twin had their own amniotic sac, but shared the same placenta). The Powells were consequently given a bleak prognosis for the boys’ survival. 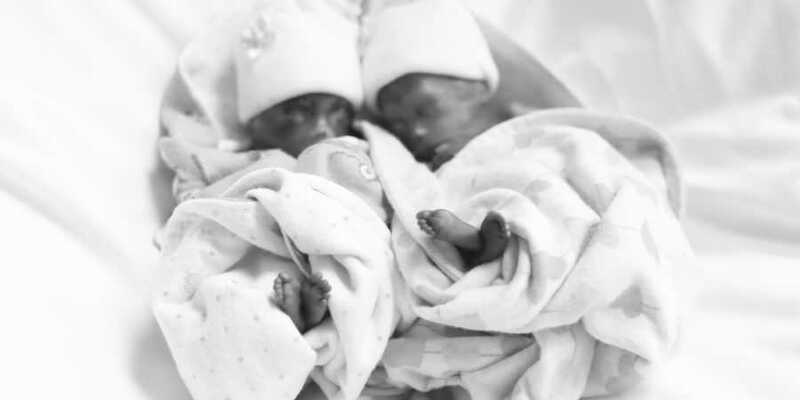 While the couple had hoped that they could hold on for another three weeks so that the twins would be far enough along to survive outside the womb, Powell went into labor that same day. However, it was discovered that the second baby’s sac had also broke, and both children were born within hours. The Powells’ heart broke, knowing that their sons, who they named Walker and Clark, did not have enough lung development to survive. The Powells held their babies and sang songs to them, counting their fingers and toes and studying their faces, giving them love until their final breath. Amanda says she takes comfort in knowing that all her boys knew in those hours was love. Powell said that the woman’s words caused both anger and sorrow to rise up in her. Powell said that while she was tempted to feel hatred toward someone fighting for the right to kill children, she instead decided to pray for the woman to have a change of heart. Powell prays for herself and her husband as well, as their hearts seek to heal from loss.